GafeHelp.ca would like to introduce a new resource for grade 9 math students (and teachers). 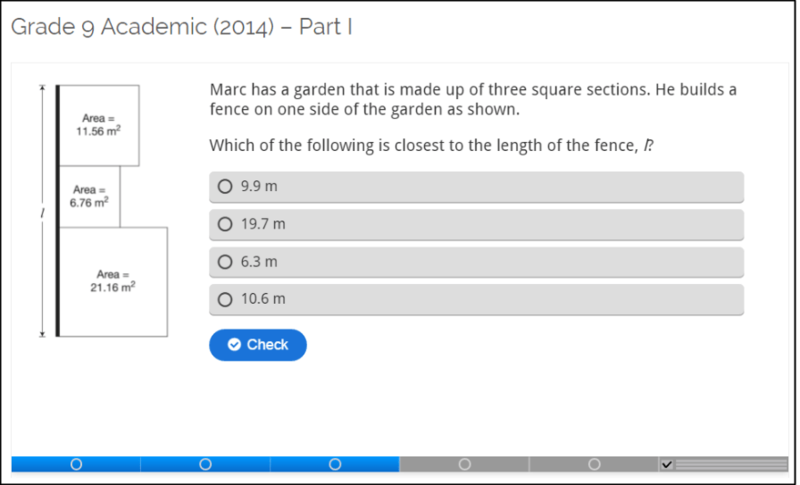 We have taken the multiple choice questions from previous EQAO booklets to create questions sets for students to practice in a digital way, on a laptop, tablet or smartphone. The goal for GafeHelp is to add more booklets from previous years broken into four parts. The short assessments also provides students a summary at the end of each section of how they did, as well as the option to retry as well. More questions will be added in the next few weeks.